Comments Off on Mexico passes a soda tax. So what's next? How much of an impact can a soda tax have on the health of a population? Mexico recently approved a tax of 1 peso per literвЂ”a little less than 10 centsвЂ”for beverages with sugar added. The measure hopes to address Mexico”s high rate of obesity, which according to the latest UNFAO report is one of the world”s highest. 32.8% of Mexico”s adult population is overweight as compared to 31.8% in the United States. Much is expected from this measure: [inlinetweet prefix=”” tweeter=”” suffix=”via @LatAmSci”]Mexico ranks first worldwide in consumption of soft drinks with 163 liters per person annually[/inlinetweet] . This is 40% higher than the United States which ranks second with 118 liters. But Mexico isn”t the first to pass a soda tax. 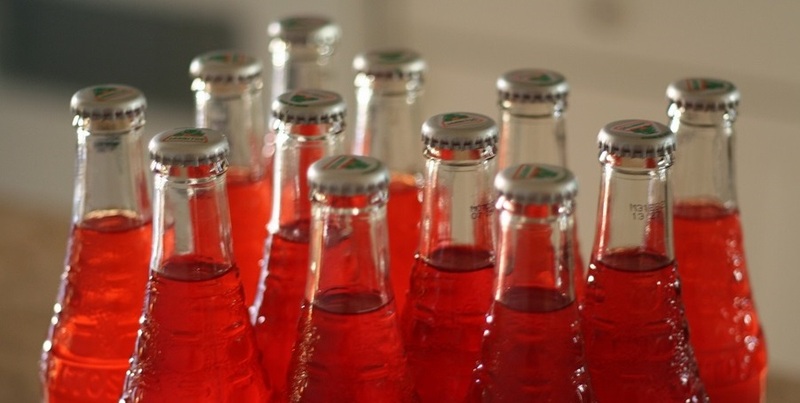 Many nations have tried including France, but industry pressure made that country apply the tariff evenly between sugar-sweetened products as well as alternatively-sweetened beveragesвЂ””light” drinksвЂ”meaning in has resulted in the long run the impact has not been as significant as was initially hoped. 58.6 % of Mexican children between 10 and 14 years of age do not engage in any type of physical activity. But what serious health impact can a measure like this have? This is purely speculation, but scientifically we should consider additional factors. Those that can “alter” the result. For example , according to the National Health and Nutrition Poll taken in 2012, 58.6 % of Mexican children between 10 and 14 years of age do not engage in any type of physical activity, while for teenagers between 15 and 18 years old this figure is 27.7%. On the one hand, as is well known, the problem of obesity and overweight is not only caloric intake, but also energy expenditure, modifying or reducing consumption of foods with little nutritional value. The government should look beyond the soda tax if it is looking to reducing the problem. Its action must be routed in a comprehensive change to the lifestyle of the population. Our soda tax has the world looking at Mexico”s health policy. Proof of this is in the Lancet, the New York Times, the Guardian, and other columns devoted to the issue, but what we are left with but a new tax and everyone waiting around for the magic to happen? Soda tax: Is a change in policy enough? This is by no means new. People have been talking about making this a law for at least the last six years, back when former Health Secretary Jose Cordova Villalobos established several programs. What is alarming is that the budget for these plans were always striking at the start but were trimmed to meet other needs as time went by. At one time Mexico had clinics specializing in obesity, diabetes, hypertension and dyslipidemia (abnormal amount of fats), but as time wore on these became centers for general medicine and the quality of care declined with greater numbers of patients. It is a subject I have personally spoken about on multiple occasions. What must be understood is that obesity is a health problem and it won”t be solved by the seemingly extraordinary measure of imposing a peso-per-liter tax on sugary drinks. What you need is to create a real change in lifestyle, one that is very difficult to achieve through commercial television and radio jingles. Investment should be focused on planned programs in schools and in the workplace that bring information to the people and encourage real physical activity. We cannot expect a novel policy measure in combination with a вЂњjingle” strategy to have a real impact. Investment should be focused on planned programs in schools and in the workplace that bring information to Government Mandated Free credit score agencies ReportAs a consumer, you’re entitled to view your credit reports for free every year. the people and encourage real physical activity. This undoubtedly will generate much ampoule in the population. Countries which have tried to enact such marked measures have trouble accepting themвЂ”just look at how New York has long struggled to achieve a similar soda tax. If we are the most affected by obesity and its consequences, we must be the nation to have stricter laws about it. It”s not enough to have them written on paper. We must create innovative programs with these measures. This will require sufficient resources that could come from the proceeds of this new tax. That”s where the problem is: governments have come to understand that the investment should be focused on education. But I am not speaking about health education but rather that this problem comes from training, educating not only in schools, not only in universities, but going to the people and talking to them. That will certainly have a real impact. Our leaders and we as a nation must change the paradigm. We must generate real change and then maybe it won”t be necessary to add a peso to each liter of soda. Why? Because nobody would such food or would do so very seldomly. Hopefully I can see this change actually happen. What do you think? The Mexican Diabetes Federation has even more alarming figures for obesity. They estimate that 38.8% of the population is obese and that 7 in 10 people are either overweight or obese. Both increase the risk of type 2 diabetes and cardiovascular conditions. It is also worrying that the number of children with higher body weight has increased over the years. 34.4 % of children between five and eleven years of age have a weight problem or obesity. According to Mexico”s Ministry of Health, the total cost of problems related to weight gain doubled between 2000 and 2008, from 55 billion pesos to at least 67 billion pesos. Is estimated to increase to 150.8 billion for 2017, a rate that”s 5 times the annual budget of the Mexico”s UNAM university system last year (32 billion pesos). The economic data aside, if we look at the problem from a medical perspective it”s still alarming. The WHO says that 8 out of 10 deaths are caused by noncommunicable diseases, and that 13% of the total were caused by diabetes and 13% by cancer. With a reduction in body weight and a change in lifestyle, that first cause is largely preventable. Let us remember that it is estimated that the life expectancy of obese children could be reduced by up to seven years. The Mexican Diabetes Federation reports that Mexico now ranks tenth worldwide for diabetes prevalence and deaths from it and estimates that by 2030 the country will be seventh. Diabetes affects about 8 million people and 38 new cases are diagnosed every hour. Five people die every two hours because of illnesses related to the disease. Photo: Miss Shari via Flickr.